I am a long time member of US Sailing . 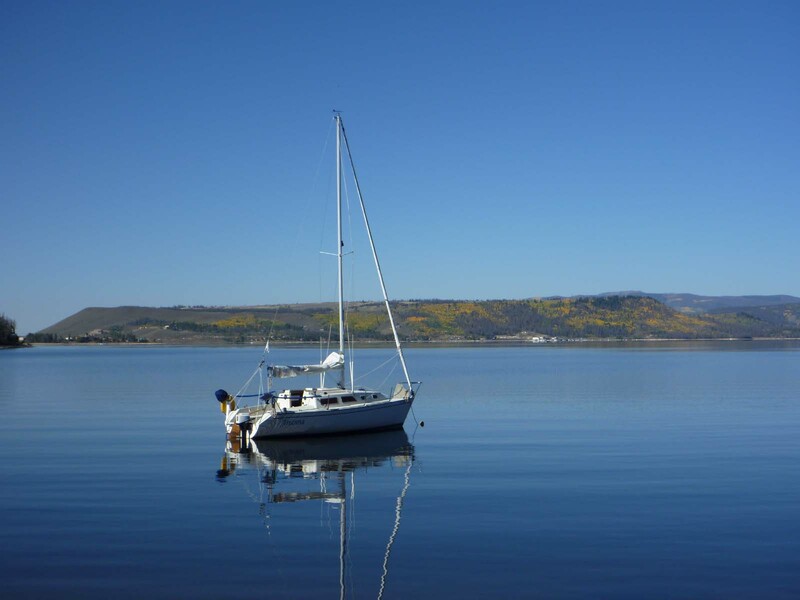 I am also a member of the Lake Granby Yacht Club in Colorado. We have always used the most current PHRF Handicaps Book to determine the handicaps for boats in our fleet. We use the number given by SAIL-COLORADO when it is given and an average of the listings given for a boat when it is not. If a member wants to change his handicap he can go to SAIL-COLORADO and ask to have it changed. We now have a member who feels that we should be using the median reported base handicap listed in the United States Performance Handicap Racing Fleet low, high, average and median performance handicaps for the years 2005 through 2011. This number is often higher than the highest reported base handicap. Also the numbers do not correlate well with the numbers in the PHRF handicaps book. This has been a subject of considerable discussion in our club. We would very much appreciate your input on which system we should be using. I think the approach your club has been using is the best way to determine the rating for the owner’s boat. It should be noted that US Sailing is no longer publishing the High, Low, Mean listing and it is not expected to republish the listing in the near future. Several years ago there was a committee appointed to evaluate various scoring methods for our races. Among the proposals was to use time-on-time, time-on-distance, Portsmouth handicaps, PHFR, and even a proposal to handicap skippers much as is done in golf, meaning 2 identical boats could have different handicaps. Ultimately, the committee unanimously adopted the the Sail Colorado ratings as published in the US Sailing Association handbook of handicaps. Using these ratings, LGYC would have the same handicaps as all other clubs in Colorado. If a boat does not have a Colorado listing, the ratings from all other clubs for that class would be averaged after throwing out the highest and lowest rating. The committee said that if an individual felt their handicap was incorrect, they could appeal to SAIL Colorado and get a measurement certificate with the new handicap. In that event, LGYC would accept the new rating. On April 10, 1994 the LGYC handicap committee met to discuss handicap ratings for the 1994 racing season. The committee consists of Peer Bjornstad, Doug Bostrom, David Kitts, and Terry Pratt. All were present. Several suggestions were discussed with the final decision approved by a vote of 4 to 0. The following outline lays out the scheme the committee feels best suited to encouraging new and old members to enjoy racing during the summer. All races will be evaluated under the PHRF Handicaps for 1994 as published by the US Sailing Association. When possible the PHRF rating chosen for an individual boat will be that listed by the Sailing Association for Inter-mountain Lakes (SAIL). It is assumed that the PHRF rating listed for each boat is calculated with spinnaker included. Therefore, 12 points will be added to the base handicap if a race is sailed without a spinnaker. Time of reporting a boat’s sail configuration is a function of the race committee, however, this committee recommends that sail configuration be reported before each race is started. This is required only for boats that sometimes sail with a spinnaker. A boat may declare that it will race only with a #2 sail 130% and will be awarded 3 handicap points. If a boat races only with a #3 sail (100% or less) 6 points will be awarded. These awards only apply to boats whose class allows them to sail with a #1 sail (150% or greater). PHRF considers physical characteristics of a boat, such as: tall mast, swing keel, wing keel, inboard motor, shoal draft, short mast, and non-folding propeller. Skippers should provide adequate information to the committee to enable the proper handicap to be assigned.